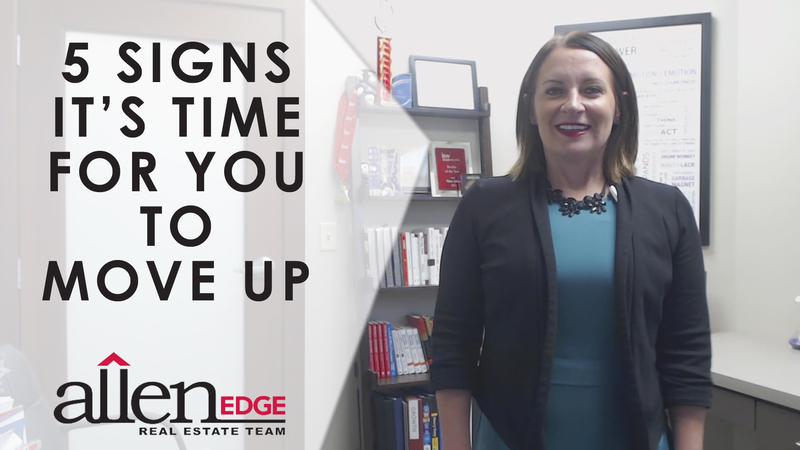 There are five signs you should look out for that will tell you if it’s time for you to move up. 1. Lack of space. This is the most common reason people decide to move up. Changes in family and lifestyle, along with the accumulation of possessions, can contribute to your lack of space. 2. Your neighborhood is changing, and not for the best. It’s possible that most of your neighbors have decided to move on, and you deserve to feel safe and secure in the company of your neighbors. 3. It might actually cost less to move up. Instead of investing potentially a lot of money into repairing and updating your current home, you might be better off starting fresh. We spend a lot of time making memories with our families in our home, so go ahead and make the jump if you can. 4. You might have equity in your home you don’t even know about. Between this, your savings, and low interest rates, you may be in a different financial position than when you purchased the home. 5. Simply because you can. Perhaps you have a dream that your current home won’t support. We work hard and we deserve that dream. We spend a lot of time making memories with our families in our home, so go ahead and make that jump if you can. If you’re thinking you want to make the jump and move up, please feel free to give us a call. We can determine what your home will sell for in today’s market and educate you so you can make the best decision for you and your family. If you have any other questions or real estate needs, don’t hesitate to reach out to us as well. My team and I would be happy to help you.